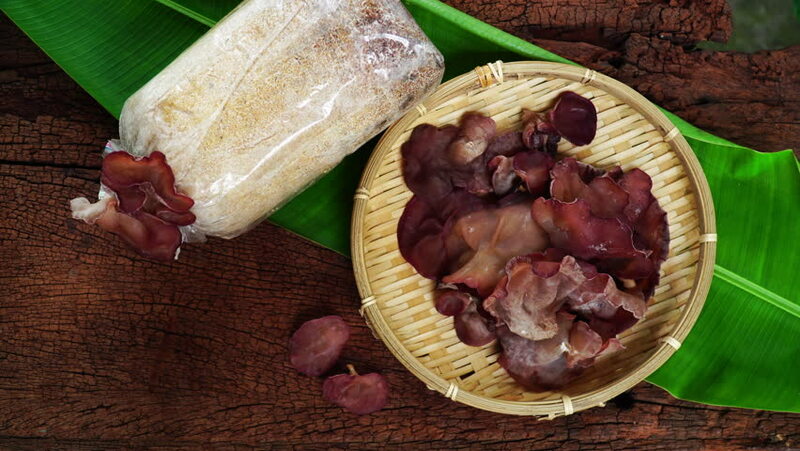 Auricularia auricula-judae or Jew’s ear mushrooms or black fungus in bamboo basket. Dolly shot of Jew’s ear mushrooms, organic vegetables, raw materials for cooking food. Vegetarian food concept. 4k00:34Auricularia auricula-judae or Jew’s ear mushrooms or black fungus in bamboo basket. Dolly shot of Jew’s ear mushrooms, organic vegetables, raw materials for cooking food. Vegetarian food concept. hd00:13Bowl with different kind of olives, glass of wine, cheese and fresh bread ciabatta on the wooden table, panning shot. hd00:07Healthy vegan muffins disappears from plate. Stop motion animation.